Pokemon Rumble U will hit the European eShop August 15th, with the North American release following soon after on the 29th. The game itself will run you $18, and individual Pokemon figures will be sold at GameStop for $3.99 each. 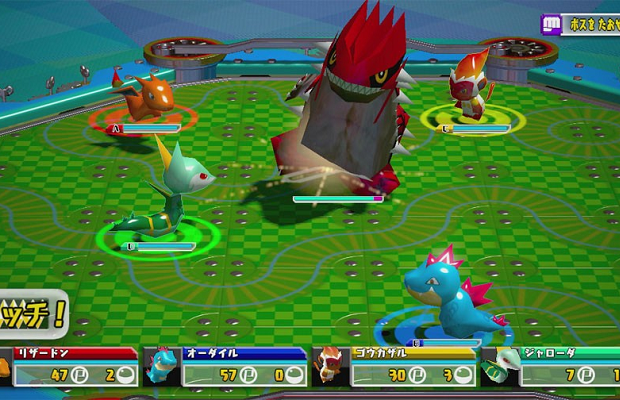 Inspired by the success of games like Skylanders, Pokemon Rumble U lets players collect actual Pokemon figurines which then interact with the Wii U gamepad. All 649 current Pokemon are to be included in the game, but it’s doubtful that all will have figurine equivalents.